Good news. 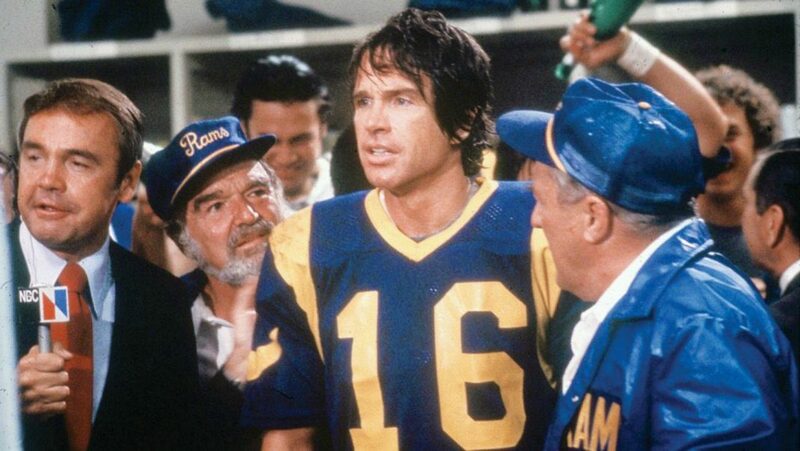 The Rams are going to win the Super Bowl and we know this because of Warren Beatty (and Twitter user @JBroska55). In 1978, the filmmaker produced, starred in, co-wrote, and co-directed Heaven Can Wait, an existential comedy about fictional L.A. Rams quarterback Joe Pendleton, who gets sent to heaven prematurely and comes back in other people’s bodies still hell-bent (pun intended) on winning the Super Bowl. The movie’s climax is set at the big game. Replacement quarterback Tom Jarrett is killed on the field, so Joe slides on into his corporeal form and wins it for the Rams against the Pittsburgh Steelers. Important detail: Jarrett’s number is 16, the same as current QB Jared Goff. And, as the Rams tweeted last night, they’ll be taking the field at the Super Bowl in their throwback jerseys, which resemble to the Heaven Can Wait-era uniforms. OK, fine. When it comes to foretelling future events, the film has a spotty record: The Rams actually played the Steelers in the Super Bowl two years later, in 1980, and lost 19-31. Basically, if this prediction is bunk and you lose a bunch of money in Vegas, don’t blame me—blame Beatty.